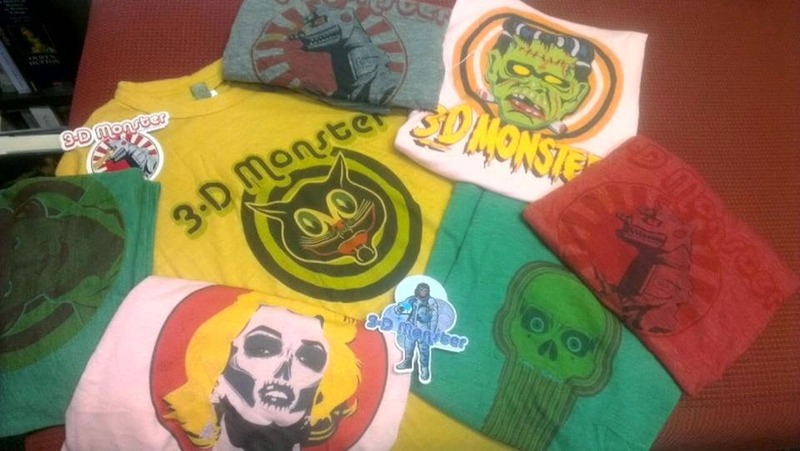 I'm totally tooting my own horn here, but I am sooo excited that Urchin Books; a popular book/toy/clothing/art/video store in Marrickville, New South Wales Australia, is selling my very own 3-D Monster t-shirts! Actually, this is the second order as they sold out of the first one! 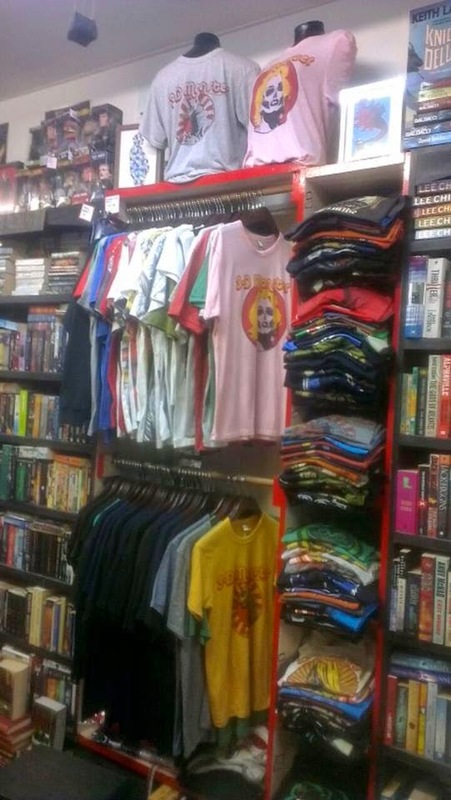 Don't they look swell displayed on the rack?